Twitter Inc has initiated talks with several technology companies to explore selling itself, a person familiar with the matter said on Friday, as the social media company grapples with its slowest revenue growth since going public in 2013. Twitter has struggled to translate its high public profile into the kind of user growth that has propelled Facebook, which now boasts 1.71 billion customers. The company has also suffered from management turmoil since its earliest days. CNBC reported earlier on Friday, citing anonymous sources, that Twitter is in talks with companies that include Alphabet's Google and Salesforce.com, and may receive a formal bid soon. Twitter and Alphabet could not be reached immediately for comment. Salesforce declined to comment. Twitter shares jumped more than 20 percent to $22.46 per share on Friday on the report of sales talks, marking the largest one-day rise since their first day of trading in 2013. Twitter, which now has a market value of nearly $16 billion, has been a near-constant focus of takeover speculation amid persistently disappointing sales and user engagement. Morningstar analyst Ali Mogharabi said Alphabet would be the best acquirer for Twitter since it has not yet been able to crack social media on its own despite several efforts. “From a strategic standpoint, we think from it would be more beneficial for Alphabet as opposed to Salesforce,” Mogharabi said. 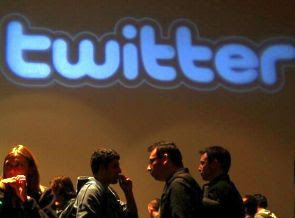 Morningstar estimates Twitter could be bought for $22 per share. As rivals such as Facebook's Instagram and Snapchat gain traction with advertisers and social media users, investors have questioned how long Twitter could persist as a stand-alone company. Co-founder Jack Dorsey returned to the company as chief executive in 2015, but his plan for reviving Twitter is at best seen as unfinished. The company has struggled to generate revenue growth and profits, despite having some 313 million average monthly active users and a growing presence as a source of breaking news. It grew its user base by less than 1 percent in the second quarter. Twitter missed Wall Street's sales expectations in both the first and second quarters of this year, according to Thomson Reuters StarMine, and has yet to produce a net profit in 11 quarters as a public company. As of the end of the second quarter, the company has an accumulated loss of nearly $2.3 billion since its inception. 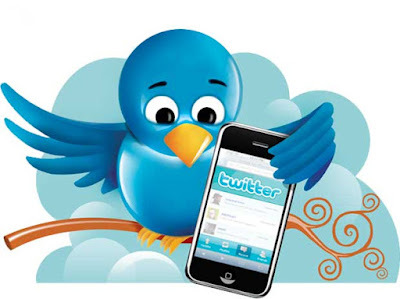 As a result, Twitter shares have struggled to retain their brief upward momentum following the company's highly anticipated initial public offering in November 2013 at $26 a share. The shares peaked above $74 just over a month after its IPO, but have been on steady downward trajectory since. From then through Thursday's close at $18.63, the stock had lost three-quarters of its value.